Risør Gjestehus is an excellent starting point if you want to discover Risør and the southern coast of Norway. Our outlet cabins is suited in an area with rich cultural heritage, where history has made its trails. Before the age of the refrigerator, this area was a center for export of ice to England and to the Continent. Here it has been sawmills, a brewery and maybe most of all plots for sail ship building. An old building site you can visit at Moen, a little walk from the cabins. Here they still keep proud traditions alive, and the boat building plot is now being developed as a cultural center. Read more about Moen wooden boat building site here! The outlet cabins lies by the beautiful Sørfjorden where you will find many fine and secluded swimming and fishing sites. 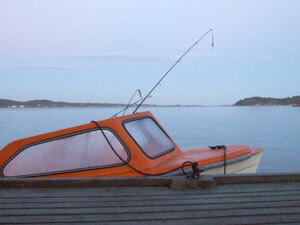 Rent a boat and discover the untouched small islands in the Risør peninsula on your own! 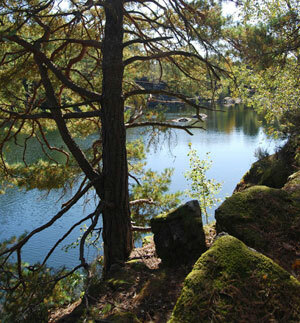 Here is more than fjords and the sea: The area is also excellent for beautiful walks and hikes. (See map with suggestions under). Risør town center is suited 7 kms. east along the fjord. The White Town on the Skagerrak is one of Europe’s best preserved wooden towns. This small town of 7000 inhabitants rests at the tip of a peninsula bounded by two picturesque fjords. A few hundred meters off shore you will find a chain of unspoilt little islands and rocky skerries that provide shelter, moorings, fishing sites, and secluded beaches for swimming and sunbathing. 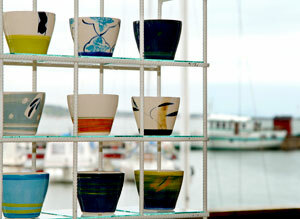 In Risør you will find many cafes, restaurants, small arts & crafts shops, and galleries. During summer the town is full of life and happy summer guests. 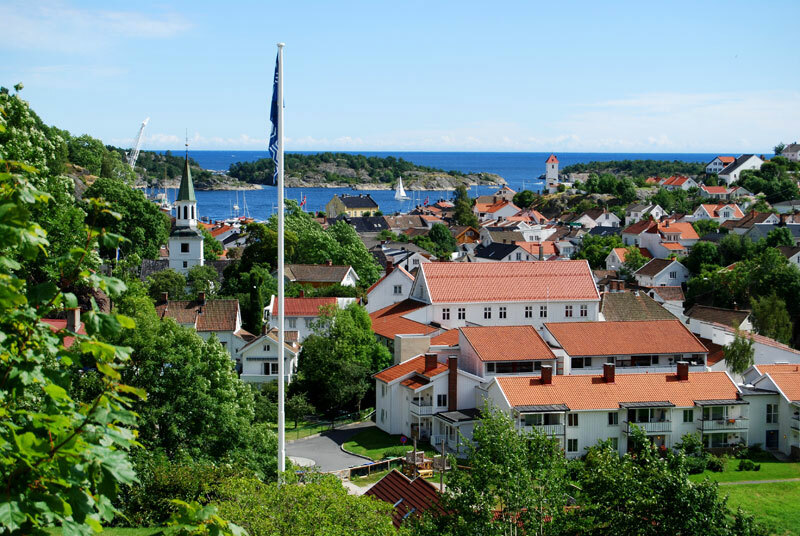 Risør is also well known for its many festivals: The wooden boat festival, Villvin Arts’n craft fair, The chamber music festival, The design festival Beyond Risør, Risør Bluegrassfestival and The Lobster Festival , to mention some. 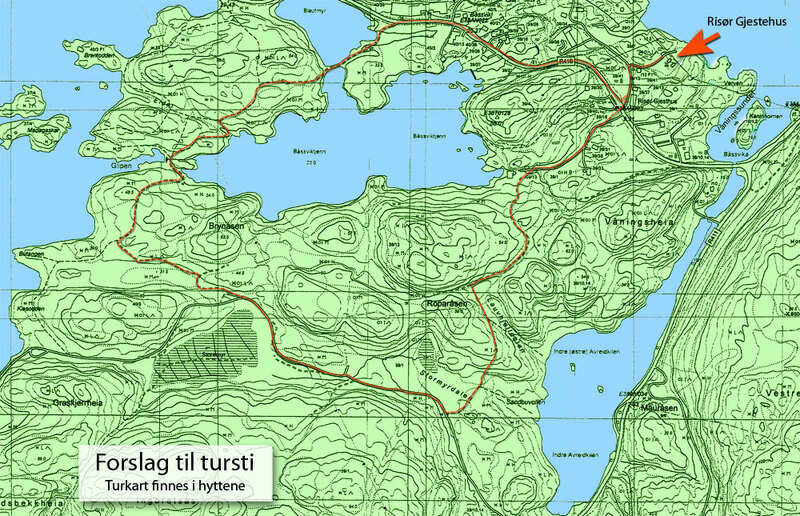 For more information about sights and activities in the area check the RisørTourist office!